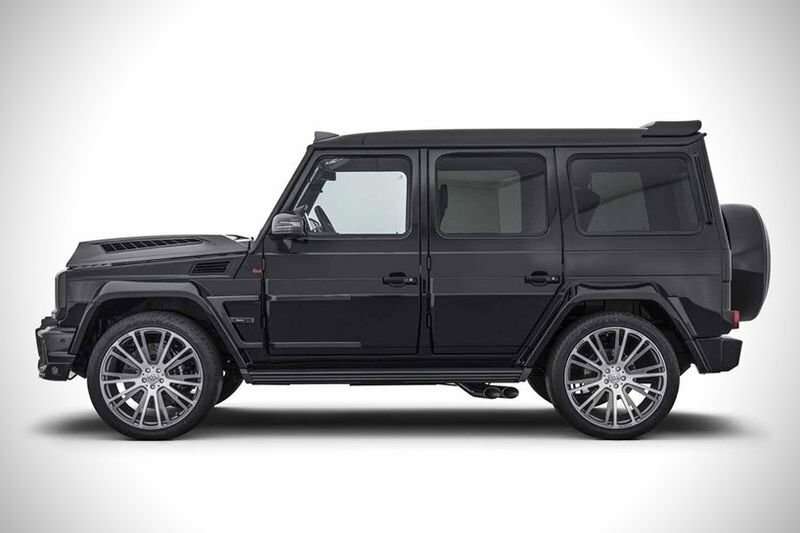 Home / Automotive / Cars / Introducing The Mercedes Amg G65 Brabus 900! Brabus took the 'G-Wagon' to a new level of style, power and exclusivity at this year's IAA 2017 in Frankfurt. Based on a brand new Mercedes-AMG G65, this German off-road powerhouse boasts custom body panels, a 900 horsepower engine, and a luxurious bespoke interior. The Mercedes-AMG Brabus is limited to just 10 units worldwide and is customized the G65 AMG's engine to become the fastest V12 4x4 on the market with a top speed of 270 km/h and a 0-100km/h in 3.9 seconds. The 6.0-litre twin-turbo Mercedes V12 engine has been upped to 6.3-litres, with completely revised internals and assemblies. Adding to the G-Wagen's formidable street presence, every panel is now clad in carbon fibre, while its custom multi-spoke wheels are 23 inches in diameter. The interior is equally luxurious, upholstered in custom quilted leather with deviated stitching, plus the usual niceties that make it a great place to be. It even includes a built-in safe! Have a look at the images above and let us know what you think in the comments below.